There are moments, where you just know that something special hit you. And when it does, you rewind, you recreate, you run after that something because you know it’s worth it. It’s genuine. And that’s how we feel about klei’s music. She’s a songwriter, singer, instrumentalist and plain creative wunderkind. She’s from Austria, but her skillset is universal. 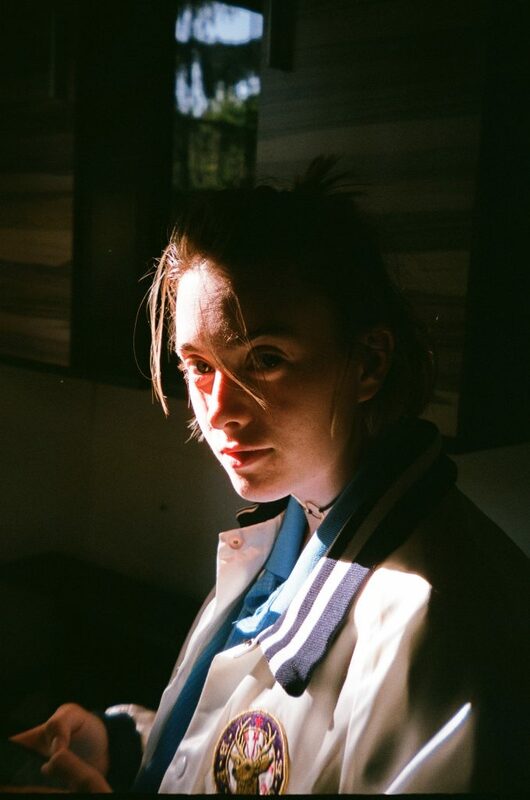 Artists like Midnight Kids, James Carter and filous appreciate and feature her unique sound. We’re entirely hyped (and also a little fanboyish) to feature her in this interview. Say hello to klei. You come from a highly musical family background – how did that influence your growth as a writer and musician? Growing up in a family of professional musicians meant making music was the ‘done thing’. My siblings and I were in the lucky position of having the opportunity to learn instruments at an early age and we were constantly surrounded by music, always going to our parents’ concerts and rehearsals (which was completely boring at the time, but turned out to be a total blessing). Nowadays, all of us children are living off music too, and being the youngest really keeps me on my toes. Sometimes I forget everyone else has at least a decade more experience than I do, so I often have very high expectations of myself, which makes me work hard, but also makes it hard to give myself (or to accept) the occasional pat on the back, as everyone else is just so unbelievably good at what they do. My parents are in classical music, one of my brothers is a genius jazz guitar wizard and the other a mind-blowing producer and songwriter (he’s certainly also a big part of the reason I do what I do). Since I started doing music full time as well, we’ve all been collaborating more and more and it’s the most amazing thing ever. We collaborate with our parents too sometimes, for the odd string arrangement or pop-song for some choir or other! When you start toplining a new track what are the first steps? Generally I try to avoid ‘toplining’ over existing instrumentals, mostly because I am terrible at it. But every now and again when you hear an instrumental, a melody idea will somehow reveal itself. But for some reason I find it so hard to imagine and navigate the emerging song through prewritten arrangements, productions and chord progressions, it feels very restricting somehow. I don’t have a real ‘routine’, as every song seems to want to be born differently. Sometimes an idea suddenly pops into my head (usually at a horrendously inconvenient time, in the subway or the shower etc. when I can’t record it on my phone), and sometimes – especially in sessions – you have to sort of ‘plan’ the creative process a bit more. To me, the melodies are the most important thing, so I usually like to start with those as opposed to starting with lyrics. However, every chord progression puts a melody into a different context, so I normally start with the chord progression, then write melodies, then lyrics last. And in between I tend to switch things around quite bit and chisel away at the melodies and chords until they click into place. But again – every song comes about slightly differently. I’d say every form of making music is pretty nice. I used to play in a band and we’d sort of jam and freestyle songs – which now sounds terrible to me but I thought that was as good as it could get, because the feeling of navigating and improvising together was the best. Nowadays I do a lot of writing sessions and a lot of writing alone, which each have their perks. The cool thing about the session dynamic is that you can bounce ideas off one another, and as soon as you say an idea out loud to someone you already know if it’s any good before they’ve even reacted. When working alone though, you’re confronted with your own judgement alone, which can be very confusing if like me, you are a rather indecisive person and don’t always know what you like. But the massive upside is that you don’t have to compromise, which can be the best feeling in the world if you do a lot of collaborative work. So it’s hard to say what the best form of collaborating is, each to their own I suppose. 5 join the family and show some love for this!